Keith, our service manager, is also our road bike specialist. He races weekly with the Buffalo bike club and has won New York State Masters road and Criterium championships. When you come in to the shop Keith will take the time to get you correctly fitted on a bike that fits your riding style and budget. 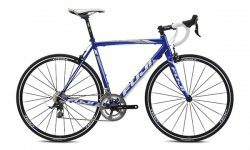 Oh, Keith’s new Fuji Team is ¼ lb lighter than his 2003 OCLV carbon fiber TREK 5200 was. So what is a road bike, anyway? They are fast and light bikes for riding on the road. This is the bike for you if you want to go fast on pavement, and you find you can get comfortable on one. 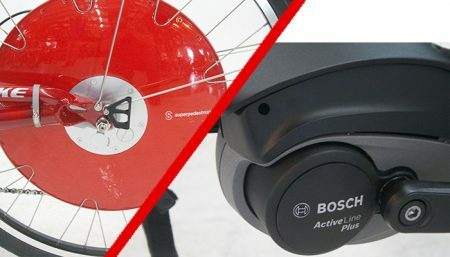 If you aren’t comfortable on a road bike you may want to consider comfort, hybrid or recumbent bikes. (See links below) Keith and Peter have ridden getting on toward a hundred thousand miles, up to 135 miles in a day on road bikes. 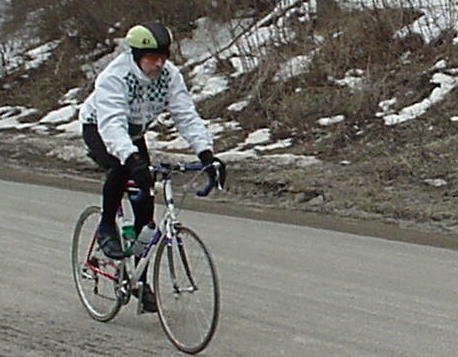 I raced a variety of road bikes, decades ago in local races. I won more races than I lost too. My favorite was a custom, 21 lb late’ 70’s Bob Jackson. 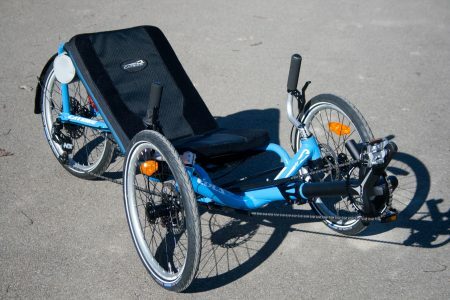 I’d still be riding a road bike if wrist pain hadn’t switched me to a recumbent. They are fast pavement bikes. They excel at sprints and fast climbing (with a fit rider and/or triple crank.) Being fast makes road bikes more fun for serious fitness riding because your work is well rewarded with speed. On a road bike you may sometimes want to stand on hill climbs to get your weight off the seat. This will help restore the blood supply to your, well you know (when my wife and I rode a traditional tandem we’d often stand on descents. We called it “airing our differences.”) On longer rides I’d take about every opportunity to stand on a climb and work the kinks out of my lower back, especially when I was using triathlon aero bars much. 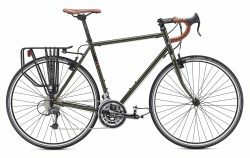 Touring bikes are road bikes built to carry camping loads all day, day after day. They don’t sprint well, but at the end of a day, with 30+ lb. of gear, who cares? 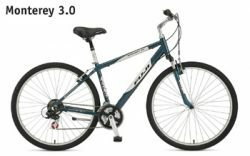 They are more rugged than road racing bikes, and have a longer frame to balance loads and soak up road vibration. Lots of low gears (24 or 29 speeds these days) are standard for hauling your camping gear up mountain roads. 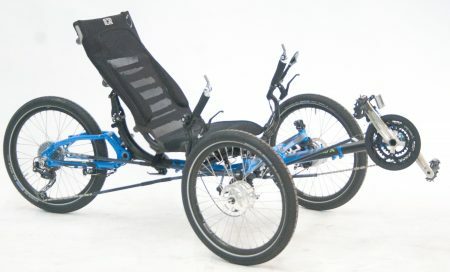 They are more comfortable than racing bikes but not as comfortable as recumbents. I have sold and prepped several bikes that went coast to coast, though my longest personal trip was only 1000 miles. These are specially designed and/or set up racing bikes. They are similar to time trial bikes. They put the rider in an aggressively bent over aerodynamic position. 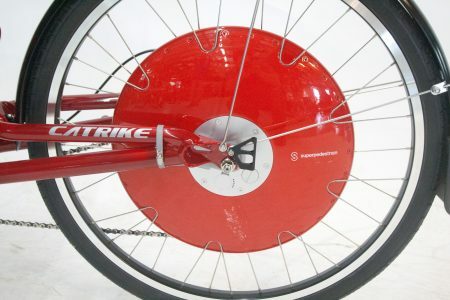 They are about as aerodynamic as a recumbent. They are not used much except for triathlon and time-trials racing. They aren’t allowed in most mass start road races. Their “aero” handlebars can work well for riders who have wrist pain leaning on the handlebars of a regular road bike. Triathlon handlebar extensions can be used to convert a road-racing bike. I have sold and customized several triathlon bikes that went to the Iron Man in Hawaii. Paul Maracini rode a bike we built for him in the Hawaii Iron-man. He took 24th in his age group and had the fastest bike split that year.